Bergey’s Truck Centers is using the Decisiv-built MVASIST and ASIST Service Relationship Management (SRM) platforms to improve productivity and lower downtime for customers. Bergey’s Truck Centers locations needed to meet the varied information needs and preferences of its customers. An effective communication avenue would encompass routine service, repairs, and work handled through roadside assistance programs. Consolidation of service and repair information was important to be able to operate more productively and efficiently. The dealer’s shops—including some with extended hours and one with 24-hour service—required the ability to access the same data on vehicles and service work at all locations at all times. The company also needed a service management solution that was fully integrated with its in-house system to eliminate duplication of effort. 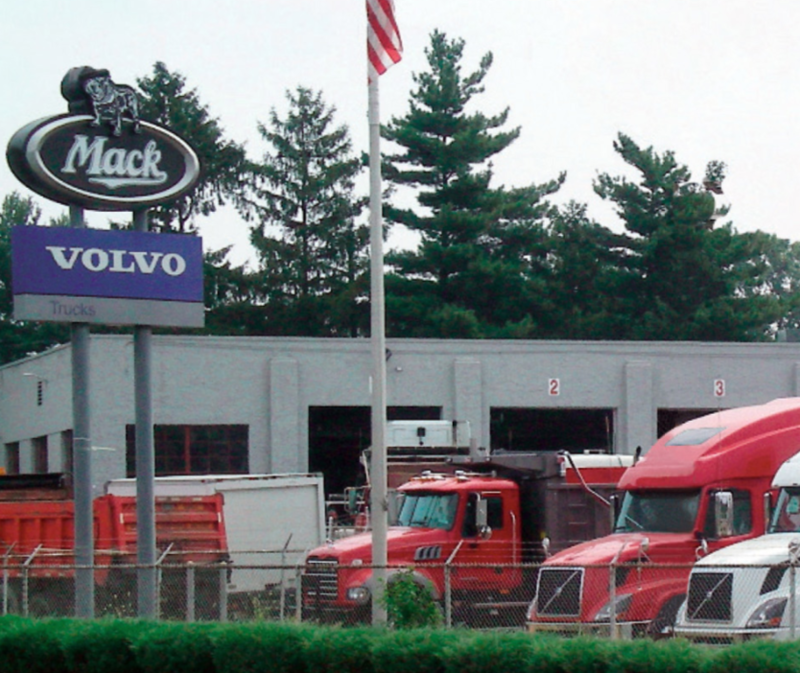 Bergey’s Truck Centers began using the Service Relationship Management (SRM) platform developed by Decisiv, Inc. in partnership with Volvo Trucks North America (ASIST) and Mack Trucks (MVASIST) at all of its service locations. Today, the dealership is committed to using the technology’s advanced capabilities. ASIST and MVASIST put everything associated with a service event in one online folder, date and time stamped for reference. Included is all vehicle and fleet specific information, including estimates, approvals, warranty coverage, pictures and notes, along with a customer’s preferred inspection and service procedures and negotiated parts pricing. This information is available across the network of Bergey’s Truck Centers locations. These platforms enable Bergey’s personnel to communicate with customers during service events using email or text messaging. The web-based solutions let the dealer exchange information in real time with fleet customers throughout the service write-up and repair process, from documenting breakdown or service needs, to requests and authorization. Handheld devices can be used with the Volvo and Mack service management platforms. Bergey’s Truck Centers use tablets to scan unique Quick Response (QR) Codes from each vehicle, and enter the code into a mobile web check-in page with service details to create a case in the platforms, with details and photos. QR Code capability allows Bergey’s to begin the service write-up process before a truck is in the shop, without the need to access a desktop computer. The tablets also support digital signature capability to capture repair authorizations. At Bergey’s Truck Centers, ASIST and MVASIST are fully integrated with the dealer’s in-house enterprise management system to eliminate duplication of effort. Bergey’s worked with Decisiv to program this capability into its service management solution, enabling fast, accurate data transfer. “Our service personnel always have a sense of urgency about keeping customer trucks on the road. The MVASIST and ASIST Service Relationship Management (SRM) platforms developed by Decisiv enable more effective and efficient communication internally and with customers. ASIST and MVASIST neatly package everything pertinent to a service event into one online folder, with date and time stamps. This information can be accessed across Bergey’s location network in real-time to expedite repairs and get trucks back on the road faster. The integration of the Volvo Action Service (VAS) and Mack OneCall roadside assistance networks into the ASIST and MVASIST through an online portal provides quick, reliable, 24/7 breakdown support for customers. The integration between ASIST and MVASIST and Bergey’s in- house enterprise management system eliminates duplication of effort by allowing staff to create service events on the platform and transfer all data to billing and other accounting solutions. sales, leasing and rental, parts, and service for all makes of medium and heavy-duty commercial trucks. At five locations in Pennsylvania and New Jersey, the company employs over 50 certified technicians.